Booth 4: Looking for Books? Search no more--we have a huge variety of books at OCT--there are many vendors both downstairs and up that carry books of all kinds. We welcome you to come and browse through our great selection. Here is a sample of what you will find. We might just have your next book club pick at OCT! 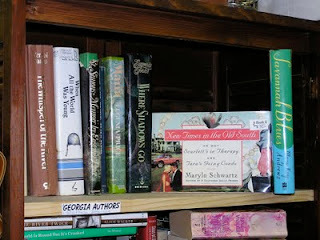 Georgia Authors are our favorite and Vendor #8 has several Georgia goodies to choose from. Come see for yourself--we will be expecting you soon!